BC&A designed a new 3.0 million gallon AWWA D115 post-tensioned, rectangular concrete tank to replace an existing tank that had been a continual maintenance problem for Sandy City since it was constructed more than 30 years ago. 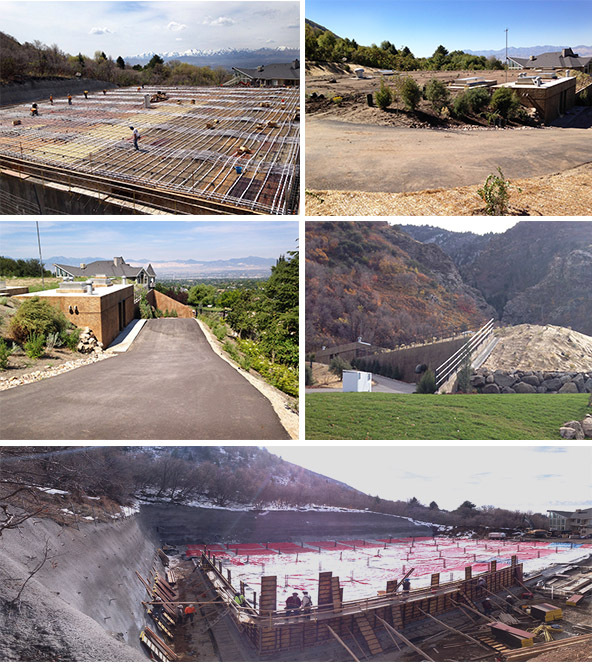 The project was particularly challenging due to the proximity to residential development and the seismic difficulties presented by the nearby Wasatch Fault. The new tank was designed to comply with current building codes and standards, and the site was landscaped to blend in with the surrounding area. The design was completed in a short period so that construction could be completed between the months of October 2013 and June 2014, avoiding decreased storage during the peak summer months. The structural design of the tank, completed in-house by BC&A was recognized with awards from the American Concrete Institute (ACI) and the Associated General Contractors (AGC).